To some, this might conjure images of a George R. R. Martin novel about the happenings in Westeros. For UFC fight fans of the early 2000s, though, it symbolizes one of the fiercest rivalries in the sport. Chuck “The Iceman” Liddell was the vicious striker. 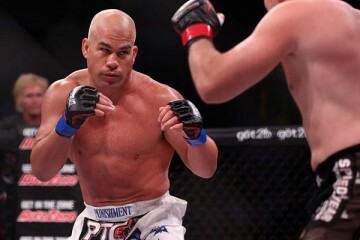 Tito Ortiz, donning fight trunks embossed with flames, was his loudmouthed foil. The pair met at UFC 47 in 2004, when Liddell scored a second-round stoppage via strikes, and again at UFC 66 in late 2006, when Liddell needed until the third round to finish “The Huntington Beach Bad Boy.” Some people might say a third fight is unnecessary. Those with a sense for nostalgia seem to think otherwise. Golden Boy MMA, a combat-sport promotion developed by former top box Oscar De La Hoya, hopes it can bring these legends together one more time to create magic. Bellator MMA has capitalized on the star power of MMA’s golden age, but can De La Hoya and company do the same? The lineup for the show, which takes place on Saturday, Nov. 24, at The Forum in Inglewood, Calif., features 12 professional bouts and four amateur affairs. The event can be viewed in its entirety on the Combat Press website via Fite TV. The preliminary card airs for free at 7 p.m. ET. The pay-per-view portion of the event, with a price tag of $40, follows at 9 p.m. ET. Is there any actual interest in this third fight between Chuck Liddell and Tito Ortiz? Can Golden Boy MMA find success with this card? Liddell and Ortiz certainly aren’t in their primes at this stage of their careers, but these guys played a large part in the rise in popularity for MMA. Yes, The Ultimate Fighter was the biggest source of converted fans, but Liddell and Ortiz are sure to be cited as favorites for anyone who started watching the UFC in the early and mid 2000s. While they may not be in the title hunt and the bout holds no real implications, Liddell, now 48, and Ortiz, 43, still have the power to draw in fans. Don’t believe aging legends can do it? Well, Bellator MMA has already debunked that theory. 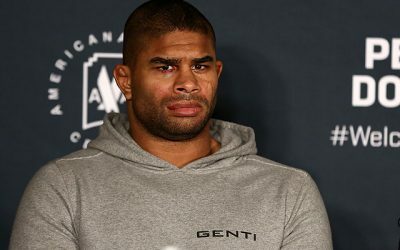 The one issue Golden Boy must overcome is its own lack of an established brand in the MMA realm. 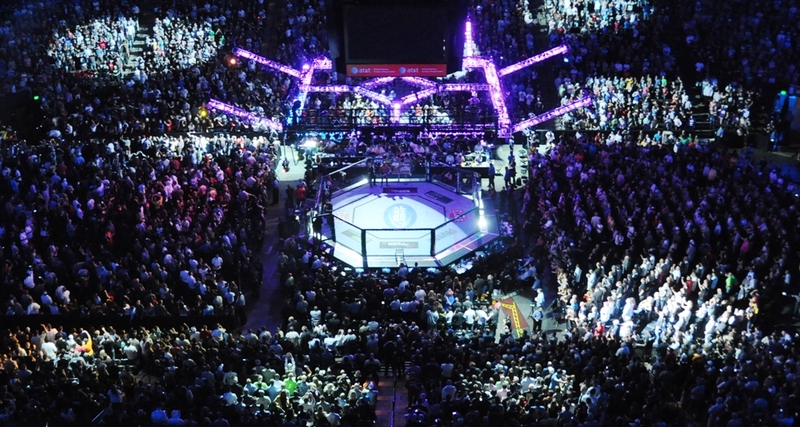 Boxing fans are familiar with Golden Boy and its namesake, Oscar De La Hoya, but MMA fans usually tend to flock to the UFC and Bellator MMA. This is exactly why the organization needed icons like Liddell and Ortiz atop the bill. Fans might not recognize Golden Boy as a force in MMA, but they know the “Iceman” and “The Huntington Beach Bad Boy,” and that will get the chatter started. The pay-per-view is available through Fite TV (right here on Combat Press, even), but it also appears that cable subscribers can order it through On-Demand pay-per-view. 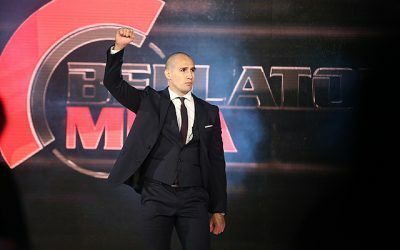 This should give fight fans plenty of avenues to access the fights, and Bellator’s past pay-per-view offerings suggest that the show could do a respectable amount of buys. Who wins the big fight? This question is far tougher now than it was in 2004 and 2006. In those days, Liddell was still in his prime and had a ridiculous chin. Ortiz wasn’t exactly known for his power, and Liddell was a master at avoiding Ortiz’s biggest strength, the wrestling game. 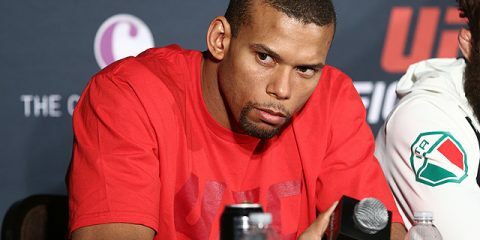 As long as Liddell kept the fight on the feet, Ortiz was doomed. This dynamic shifts now that more than a decade has passed. The 48-year-old Liddell hasn’t seen action since he was dropped hard by Rich Franklin at 2010’s UFC 115. The “Iceman” lost five of his last six bouts, and there was serious concern over his safety after his chin went from one made of iron to one made of extremely brittle glass. 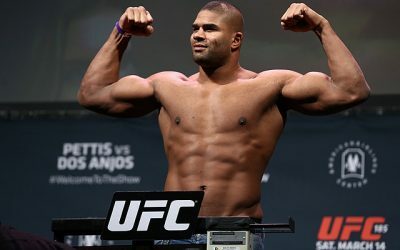 Quinton “Rampage” Jackson initiated Liddell’s decline, but a trio of knockouts to Rashad Evans, Mauricio “Shogun” Rua and the aforementioned Franklin amounted to the final nail in the coffin. Liddell can’t take a punch like he did in his prime. Ortiz still isn’t a knockout artist, but his in-ring features have seemingly aged better than those of his longtime rival. 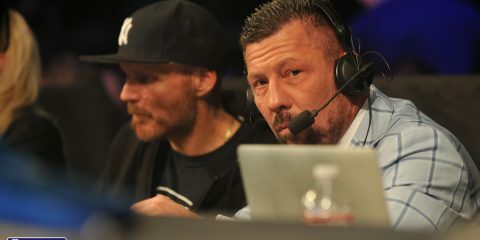 Liddell’s second victory over “The Huntington Beach Bad Boy” was the beginning of a nightmare stretch of more than five years in which Ortiz won only one contest out of seven appearances. 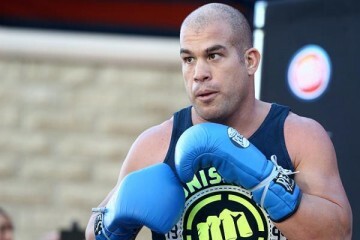 However, Ortiz turned his fortunes around with a move to Bellator. 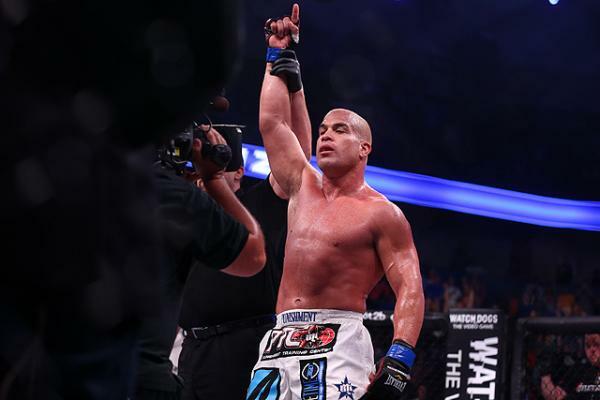 He became one of the leaders of Bellator’s move into a “legends division.” Along the way, Ortiz picked up three wins over the course of four fights. His only loss in this stretch came in a 2015 title challenge against Liam McGeary. Ortiz has only fought once in the last three years, but he still seems to have a couple of gasps left in him, as long as he’s fighting fellow legends or natural middleweights. The biggest factor in this scrap still won’t be Ortiz’s ability to get this fight to the mat. Instead, it’s actually all about Liddell’s chin. By the time the “Iceman” retired, a light breeze could have knocked him out. If Ortiz could stun a prime Ryan Bader long enough to follow up with a submission, then he holds enough power to rattle and perhaps even cleanly knock out Liddell. Are there any other important fights in the lineup? That depends on the definition of the word important. None of these fights will have an impact on the top-10 rankings of any major MMA media outlet. Given Golden Boy’s newcomer status to the world of MMA, these bouts won’t crown champions or identify contenders. However, the promotion did put a reasonable amount of effort into making this a lineup where fans will know some of the fighters who come before Liddell and Ortiz on the broadcast. 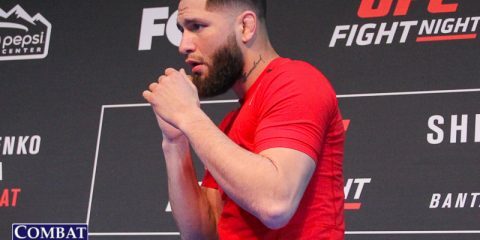 The co-headliner features UFC veteran Tom Lawlor, best known for his weigh-in and walkout costumes during his UFC days, against undefeated prospect Deron Winn, who has finished all four of his opponents since debuting in 2017. 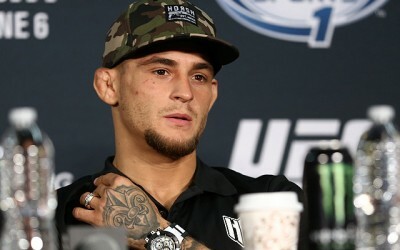 Further down the lineup, UFC castoffs Gleison Tibau and Efrain Escudero meet in a catchweight bout, and fans also get to catch up on the whereabouts of UFC veterans Jay Silva, Walel Watson and Albert Morales. A few prospects line the card as well, including Ricky Palacios, Oscar Ivan Cota and Jason Manly, who holds an undefeated mark but has not fought since 2015. These guys could all make statements against solid opponents. The name of the game for Golden Boy’s first venture into MMA largely revolves around nostalgia and familiar names. There are several injections of promising talent, too, but they are primarily paired with UFC veterans. The one high-profile bout that eschews this trend is the light-heavyweight affair between Norway’s Kenneth Bergh and Mexico’s Jorge Gonzalez. Bergh is undefeated through six pro fights. 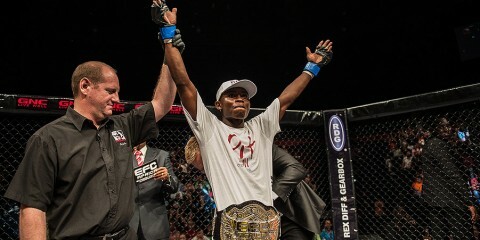 He holds a victory over Norman Paraisy under the Cage Warriors banner. While he is not a UFC veteran, he did appear on The Ultimate Fighter as part of the cast for the 23rd season. Bergh lost his lone TUF bout to Eric Spicely via submission. 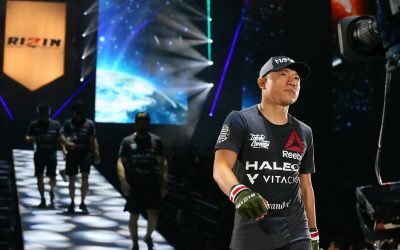 The 29-year-old’s official fights have all ended in finishes, so he could entertain the crowd before the night’s biggest fights get underway. His opponent, the aforementioned Gonzalez, is entering Anthony Smith territory when it comes to career stats. 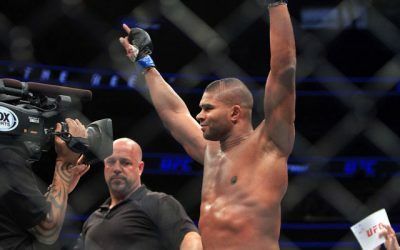 Smith, now a top UFC light heavyweight, didn’t go the distance until his 30th fight. Gonzalez is now 18 fights into his career, and he has yet to see the scorecards. The Mexican fighter has been finished four times, all by submission, but he has doled out 11 knockouts and scored three submission finishes of his own. 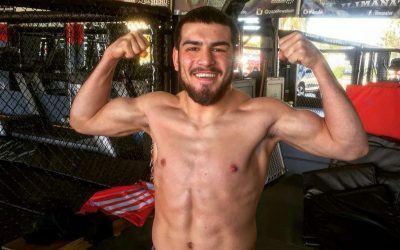 While Gonzalez, a striker, could bring fireworks to this fight, his weaknesses on the ground suggest that this fight is likely to end in Bergh’s favor by way of a tapout.